With the Qorus Add-in for Word, it's possible to create document tasks called assignments, in Office 365 Word documents. If you're new to collaborating with Qorus, you might want to take a minute to go through this article first, which provides a good overview of how it works, and introduces a few of the key concepts. If you haven't done so yet, you'll want to make sure you have the Qorus Add-in for Word installed. 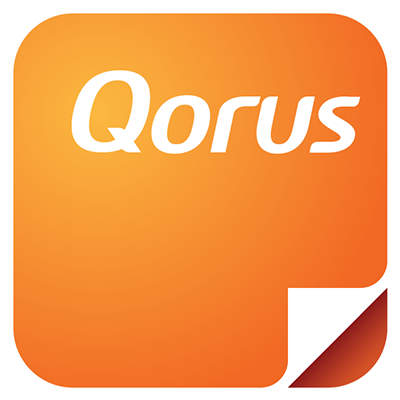 You can find detailed steps on how to do that here, and if you're completely new to Qorus, then you might also want to check out this Quick Start Guide. When someone assigns part of a document to you, you'll receive an email notification. In that email, you'll find a link to access the document that contains your assignment(s). Click here to learn more about the collaboration email notifications that Qorus sends, and how to access the document. Next, in Word, launch the Qorus Add-in, and click on 'Assign' in the top nav. The first tab you see is the 'To Do' tab that contains a list of all the assignments within the document that have been assigned to you. To view and action the assignment, simply click on the assignment name. This will also jump you to the place in the document where that assignment is found so you can begin working on it. There are a few different ways in which you can action an assignment. The most obvious one of course, is to complete the assignment (by typing within the assignment container, or content control within the document), and then marking it as 'Done'. You might also want to look at any comments that might have been left for you by the person who created the assignment. There could be some useful information around what's expected for a particular assignment. Simply click and type within the text box to leave a comment (1), and then click 'Save' (2). Then, if the wrong part of the document has been assigned to you, or it's really not your area of expertise, or for any other reason, you can reject the assignment. When you do, we'll ask you to provide a reason for rejecting the assignment. When you're done, click 'Ok'. When you open the document from your IE browser, we'd recommend that you don't use the 'Save as...' option to store the file in a different location or with a different name. This is because there could be more than one collaborator in a document at a time, and using the 'Save as...' option will create additional copies. As you can imagine that could quickly get messy... To avoid this, simply hit the 'Save' button to have your edits saved to the original document. An assignment can be assigned to up to 10 people. This will notify all 10 people of the assignment. However, if one person completes or rejects the assignment, it will complete or reject the assignment for everybody. In other words, only one recipient need respond, to action the assignment for everyone.